The internet has brought a wealth of information to our fingertips. Some of this great information includes the numerous deal sites online that allow people all over the country and world to share ways to save a buck or find the best price for anything and everything. 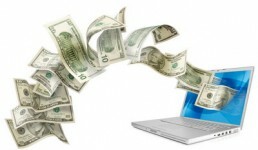 These sites come in the form of blogs like this one or forums where users discuss how to save. Below are some of my favorites. Check them out next time you plan to make a purchase and you may be surprised to find how much you can save. Deal sites include the best insider information on a deal for you. Whether you’re making a big purchase or just trying to find a coupon. Check out these sites before spending the big bucks so that you can save. They are also great for random deals that may entice you. Slickdeals.net – The #1 online deal site. The Cheapskate on CNET – My favorite deal blog with daily deals and coupons. Woot! – A new deal every day. The pricing sites provide you with a listing of prices for your next purchase. Just type in what you are looking for and find a website with the lowest price. Price Grabber – The #1 price site with a wealth of information. Bing Cashback – Get a percentage back for your online purchases. Enjoy entering free giveaways. Check out these sites for some freebies. They usually require you to signup for something, but if you win then it’s definitely worth your time. Free App a Day – Get a paid app for free from iTunes each day. Do you enjoy clipping coupons? Well, check out the online version by going to these sites. They are very helpful when making online purchases and can save you anywhere from 5% to 105% on your next purchase. GroupOn – Get daily deals in your city including great food and activities. RetailMeNot – Find online coupons and promo codes. Restaurant.com – Save on a restaurant near you. CouponMom – Newspaper coupons online plus extra deals for Restaurant.com. Half Off Green – Great discounts at a variety of eco-conscious companies. Know of a great deal site that I have missed? Let me know what sites you use and I’ll add them to the list. For people living in Atlanta there’s http://www.halfoffgreen.com, it offers deals at all sorts of services and shops in the Atlanta area. Thanks @Gesci Meyer for the recommendation. Looks like a great site with a positive message. I added it to the local list.